The list of wolf-like dog breeds doesn’t start and end at Siberian huskies. In fact, there are a lot of canine breeds that look and act like wolves. And there’s a good reason behind it. Dogs (canis familiaris) are said to be descendants of wolves (canis lupus), but according to some US scientists, it’s not exactly true. 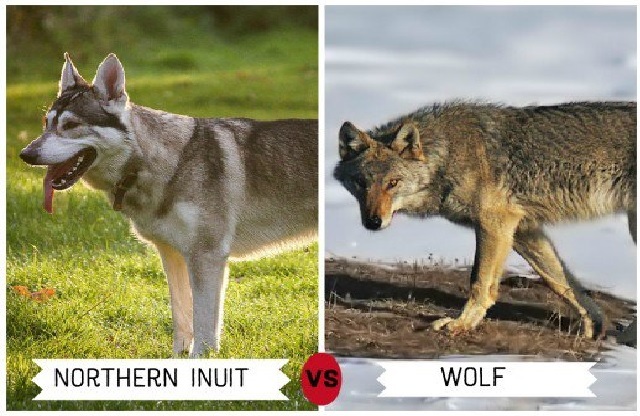 Dogs and wolves actually came from similar ancestor and just evolved into modern dogs and wolves through interbreeding between 11,000 and 34,000 years ago. Their being similar genetically allows them to share many physical characteristics. While most ordinary dogs are domesticated, wolves are the opposite. They are stronger and more energetic. Their instinct and temperament are unpredictable. Wolves are strong-willed, erratic, almost untrainable, and a threat to children and smaller pets. These traits are what make them unsuitable as household pets. Despite their not-so-positive qualities, wolves are actually beautiful and mighty creatures. This is probably the reason why some people desire to have this type of animal to be their pet. 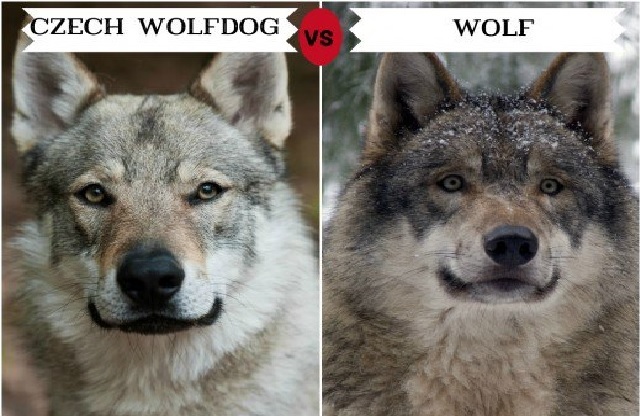 But as previously mentioned, wolves are not safe as pets, so why not get yourself a dog that looks like a wolf instead? 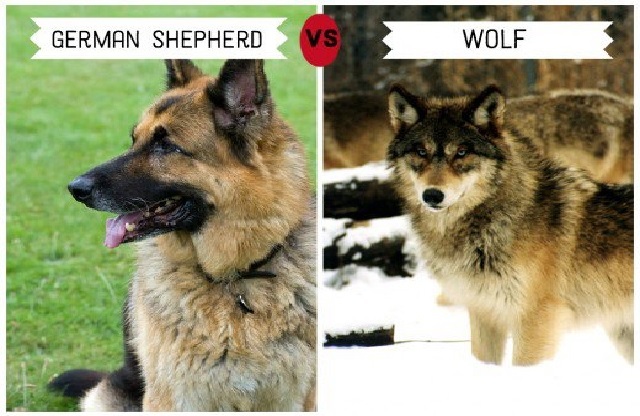 Here are some of wolf-like dog breeds you will fall in love with. Alaskan malamute is a huge dog and could weigh up to 45 kg. But don’t be intimidated by its size, this breed of dog is really friendly. They are originally bred to carry bulky loads across long distances. Aside from being friendly, what makes them likable is that they are intelligent and rarely bark. Truly a man’s best friend because they are loyal. As a dog bred to survive in rough conditions, they are also extremely resourceful and self-sufficient. 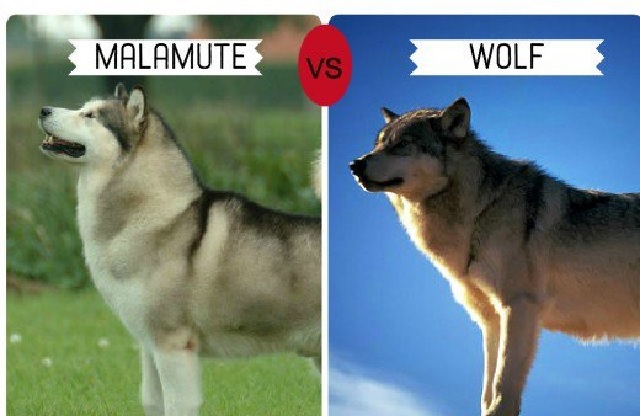 Despite its good qualities, the malamute may not be suitable for families who have other pets especially smaller ones because this breed has a developed predatory instinct. Physically, a malamute has a fairly thick, about 2-inch long, coat, and distinct facial markings, which all make the malamutes one of the most popular wolf-like dog breeds. These canines can be seen in various colors like shades of black and red, gray and white, and sable and white. Siberian huskies are medium sized-dogs and weigh up to 28 kg. They are known for their unique thick, furry double coat, raised triangular ears, and unique color markings. 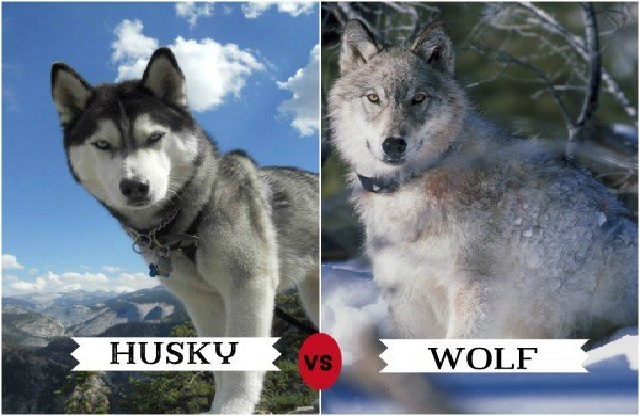 Their colors are in a variety of tones such as black and white, red and white, brown, gray and white, silver, wolf-gray, sable and white, red-orange with black tips, and dark gray. Just like the Alaskan malamute, Siberian huskies are also a very loyal, intelligent, and tough breed of dogs, as they were originally bred by Chukchi tribe in Siberia to carry weighty loads. 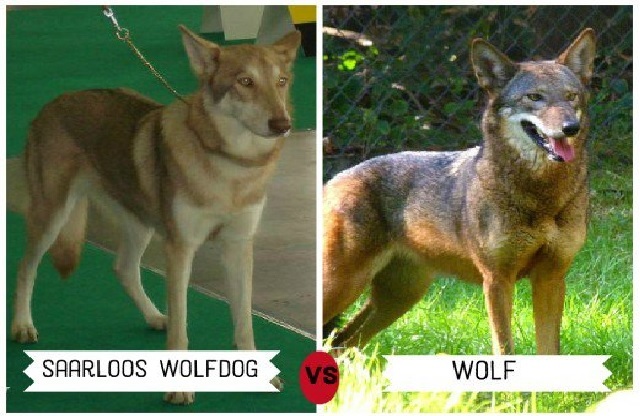 Aside from their physical characteristics, these wolf-like dogs also inherited some of their wolf ancestor’s behavioral and temperamental attributes like their being energetic. They are also one of the wolf-like dog breeds that tend to howl than bark, and they have a strong need to belong to a pack. That’s why they always yearn to be in the company of other dogs and people. ASPCA considered them to be safe for children and a good family pet, but their energy are just so over the roof that they need a special exercise so they can burn their excess energy, if not they will become destructive. Siberian huskies are also expert in escaping, so ASPCA recommends putting up a tall fence around your yard to prevent them from running away. 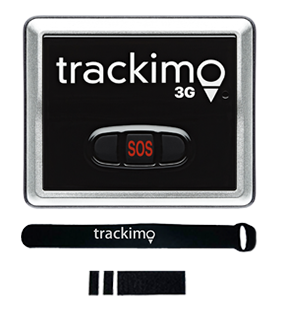 Or better yet attach a GPS tracker like Trackimo so locating them is easy when they suddenly escape. 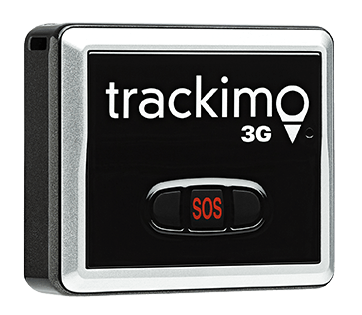 The device will alert you through e-mail or SMS once your Siberian husky enters or exits your yard and will also provide its exact location in real time. Czechoslovakian wolf dog is a hybrid between German shepherds and Carpathian wolves. This new breed of dog has the intelligence and personality of a German shepherd, and the wolf’s strength and endurance. Its build and thick hair, which varies in color from yellow to silver or grey, are very similar to that of wolves. Its amber eyes and raised triangular ears are noticeable. This particular breed of wolf-like dog love to be surrounded by people, so they easily form a bond with their families. They are okay with other pets at home, but they are wary of strange animals, so get them out of the house often and socialize. 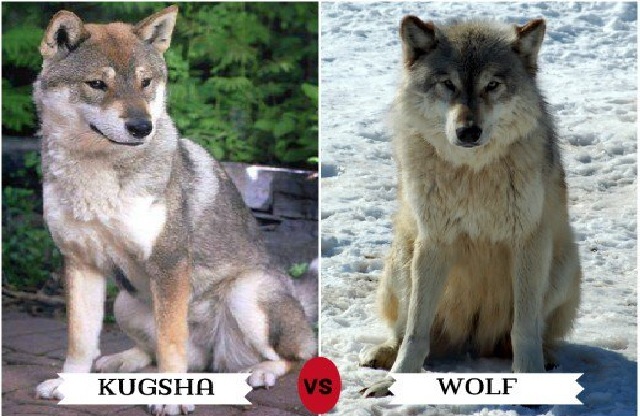 Kugsha is a wolf hybrid native to the United States; they are also called Amerindian malamutes. They have long legs, and strong and larger body. It’s no wonder they love traveling. But they recently have become domesticated. Kugsha are a vivacious and independent bunch. They usually have strong relationships with their owners and are very loyal. However, they are not good for families with children because of their predatory tendency. They also need to be exercised to deplete extra energy and prevent them from becoming destructive. 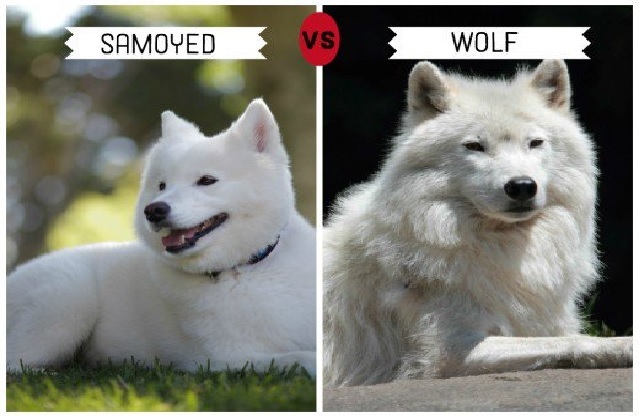 Samoyed is one of the best wolf-like dog breeds for family. They are very friendly, loyal, cool, and vibrant. In short, a very good companion. They enjoy walking, tracking, and snuggling. This Russian dog breed is very likable. Its “Sammy smile” is very distinct as its black lips are in contrast with its white coat. Sadly, this broad-headed, playful Samoyed is prone to several congenital health problems like hip dysplasia, diabetes, and kidney disease. 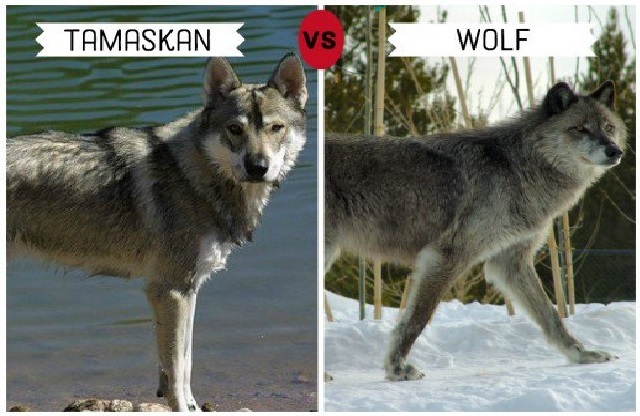 Tamaskans are purposely bred to look like wolves. If you look at their features, they almost look alike. Their coat, which comes in red-grey, wolf-grey, and black-grey, are thick. There are only around 600 certified Tamaskans worldwide, very few, that’s because they are a relatively new breed. The American Kennel Club only recognized them in 2013. Though they look tough, Tamaskans are actually good family dogs, and they are very intelligent, highly trainable, and good with children. But don’t let them stay in one place for too long because they easily get bored. They can also be destructive if not given enough physical stimulation. 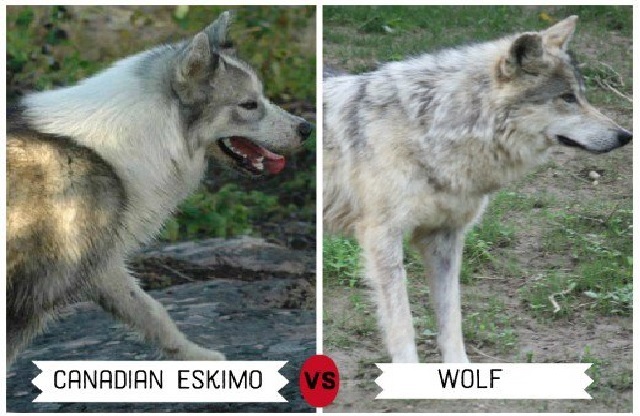 Canadian Eskimo are also called Qimmiq, Canadian husky, and Canadian Inuit dogs. This breed is said to be a working kind and used to pull sleds and track for their owners. There are only about 300 registered purebreds; thus, they are considered endangered. They are fairly large creatures and can weigh up to 30 to 43 kilograms. They are like the typical dogs: devoted, energetic, smart, and powerful, but they are not suitable for families with smaller pets because of their high predatory instinct. They fare better in cold weather and are susceptible to heat stroke. They also require more physical stimulation than the normal dog. The Northern Inuit dog is a crossbred between German shepherds, Siberian huskies, and Inuit dogs. They were developed in the UK. The Northern Inut is one of the wolf-like dog breeds that are not recommended for inexperienced pet owners. Though they are smart, they are very stubborn and not easy to train. They have a separation anxiety problem, but this can be solved by training them at a young age. They are also suitable for families with multiple pet dogs. Utonagans are a combination of three dog breeds: the Alaskan malamute, German shepherd, and Siberian husky. The Utonagans are one of the wolf-like dog breeds that are known for being smart, highly trainable, and very friendly. They easily get along well with people, so they are great as family pet. They are very energetic, which is why they need regular exercise. 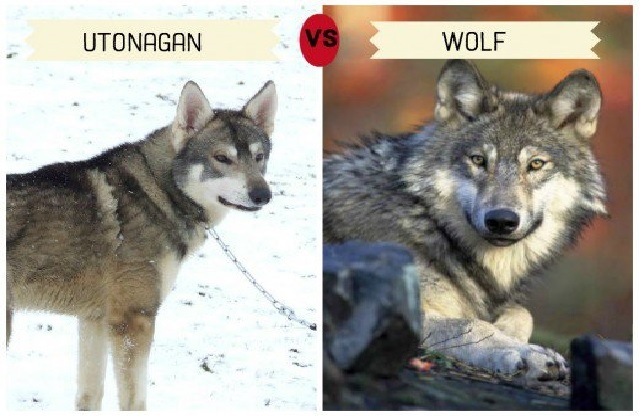 If you live in an area with cold weather, a house with ample yard, and high fence, wolf-like Utonagan dogs are for you. The second-most popular breed in the United States and fourth in the UK, German shepherd dogs are also known as Alsatians in Great Britain and other parts of Europe. An excellent breed, they are. They are known for their intelligence, making them ideal for police work. They are highly trainable; in fact, many of them are trained as police dogs. 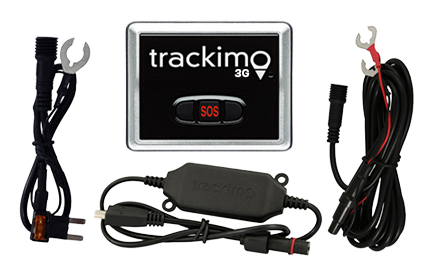 They assist police officers in search and rescue and other police tasks. One of the more known wolf-like dog breeds, German shepherds are very energetic and enthusiastic dogs. They always need something to do; otherwise, they’ll get bored and can be destructive. They have the tendency to become aloof and very protective of their owners, so they need to be around with people and other dogs often. Dutch Leendert Saarloos crossbred a German Shepherd dog male to a female European Wolf in 1921. But it was only in 1975 when The Dutch Kennel Club recognized Saarloos wolfhound as a breed. 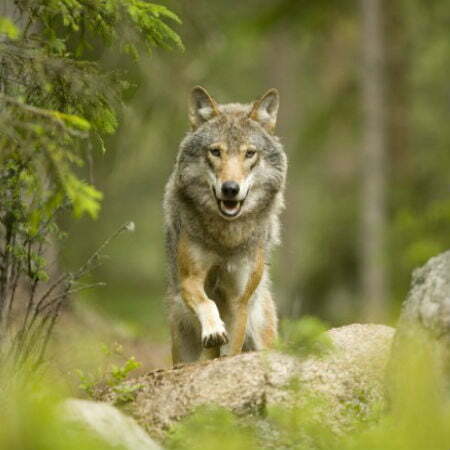 They are very powerful, energetic, and very wolf-like in their expression and stance. They have strong stamina and can be very stubborn, so they need an experienced owner that knows how to discipline them. They are not suitable for apartment life and require adequate exercise.